Eagles in the City Gala Tonight! | Straight Line Designs Inc.
Eagles in the City Gala Tonight! Judson is attending the BC Lions’ Society Gala tonight with the donation of a Little Black Dresser. The piece will be auctioned off along with the eagles to to help raise money for children with disabilities in BC. All 135 Eagles from around the province have migrated back to Vancouver to help raise money for tonight’s auction. 34 Eagles will be auctioned live at the The Great Eagle Gala & Auction at the Westin Bayshore Vancouver and more will be available online at gobid.ca. 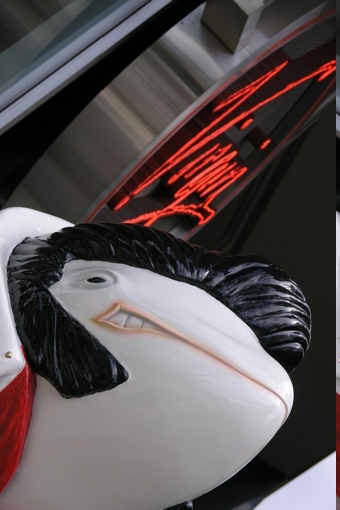 Straightline was responsible for the forms of the Eagles, Spirit Bears, and Orcas in the city. We even decorated a few Bears and Orcas ourselves! 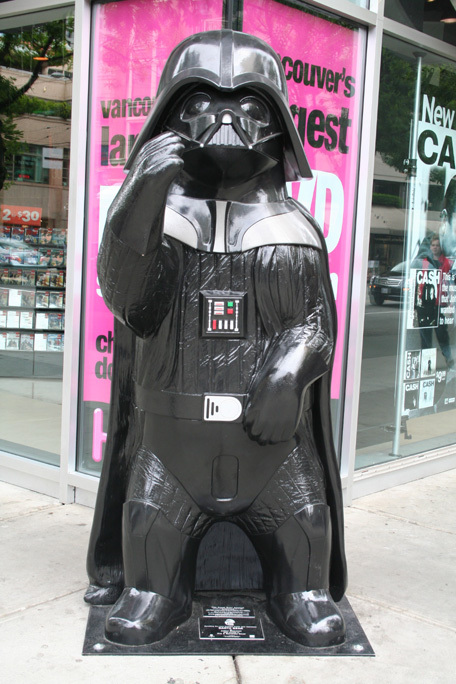 The Darth Vader Bear and Elvis Whale were both chosen for the People’s Choice Awards. 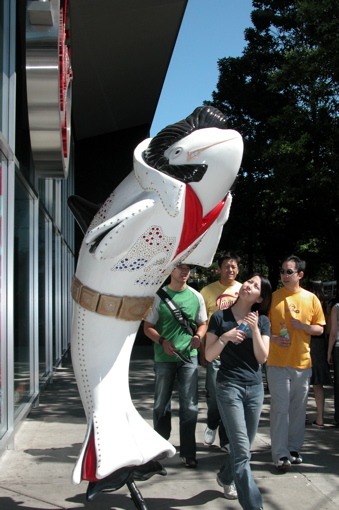 Orca Presley makes his debut in front of Virgin Records (now HMV) in Downtown Vancouver. Darth Bear raised for $20 000 for the BC Lions Charity. This entry was posted in Donation, Upcoming Events and tagged BC Lions Society, Bear, Darth Vader, Eagles in the City, Elvis, Gala, Little Black Dresser, Orca. Bookmark the permalink.